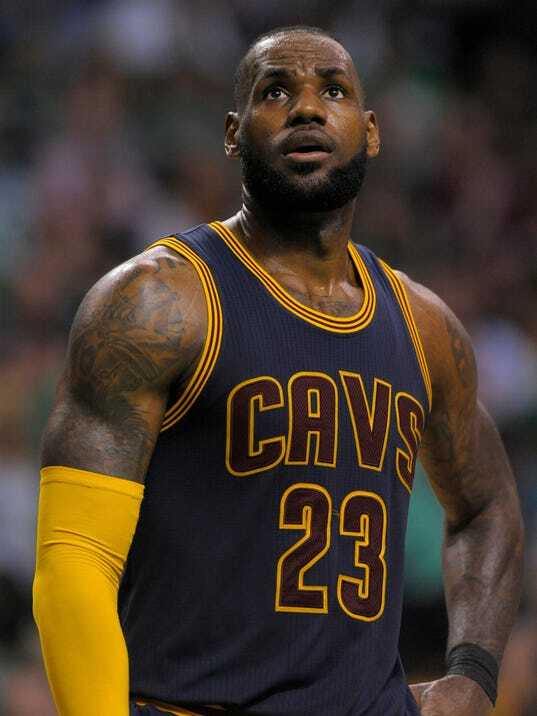 In a report today by ESPN’s Jackie McMullin, LeBron James has yet to commit to the Cleveland Cavaliers beyond the 2017-2018 season. The report originally surfaced during discussions between LeBron and Cavs owner Dan Gilbert before the team decided to move Kyrie Irving to the Boston Celtics and was reaffirmed today. Now this is not exactly news as everyone has assumed that there was a good chance LeBron may depart the Cavs in the off season. The relationship between James and Gilbert continues to be rocky as it’s extremely unlikely LeBron has forgiven everything Gilbert said about him when he first departed the Cavs as a free agent in 2010. Especially if the Cavs make the finals once more or even win it. James may not want the backlash again and may actually want to finish his career in his hometown. Now, there have been rumors about LeBron wanting to go to LA (where his family currently lives) or to Houston to play with long time friend Chris Paul. It’ll be interesting story-line to follow once the NBA off season hits . Nobody knows what LeBron will do besides him. LeBron no longer owes the city of Cleveland anything. He’s won them their title and the team is still built for future success if he departs (Thanks to the Brooklyn Pick). Houston Rockets – teaming up with James Harden and Chris Paul would give him best chance at more titles. Los Angeles Lakers – historic franchise, Magic Johnson is now running the show and the Lakers would have cap space to sign another star if they deal Jordan Clarkson and Julius Randle. San Antonio Spurs – Greg Popovich and Kawhi Leonard… what better sell? Philadelphia 76ers – Joel Embiid and Ben Simmons plus cap space? Don’t rule this out. Washington Wizards – Elite PG in John Wall, fantastic shooter in Bradley Beal and do it all forward Otto Porter? The Wizards are a dark horse.